Under care of: Paiboon Laohasinnurak, M.D. Samitivej Trauma Center , Asian Network of Emergency Care. 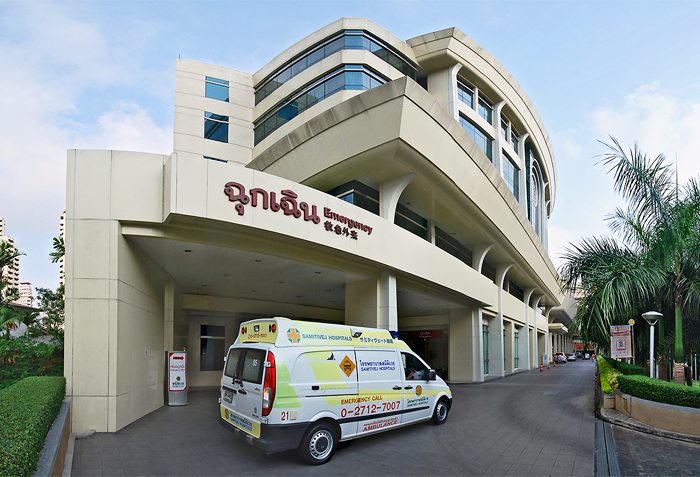 Samitivej Hospital Group has one of the leading trauma centers in Thailand, located at Samitivej Srinakarin. 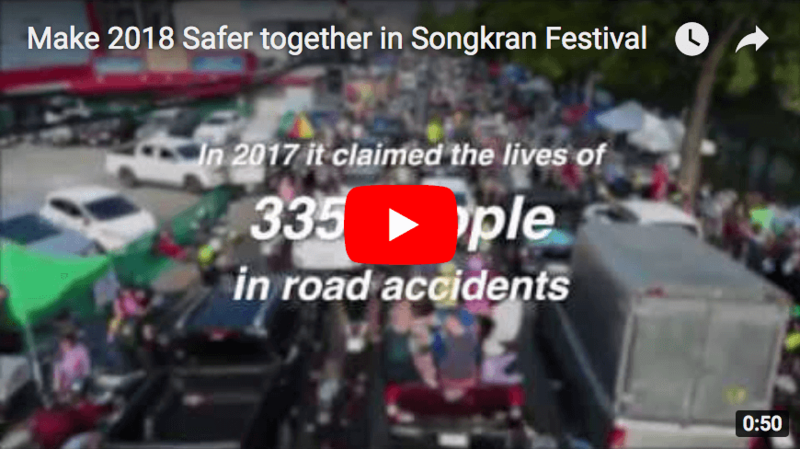 The center is less than thirty minutes from Suvarnabhumi Airport and is easily accessed from the main road, offering emergency medical assistance at a moment’s notice. The trauma center is equipped with the latest medical technology, and our staff are available 24 hours a day, seven days a week, including emergency ambulance teams, initiating definitive care at the accident scene, during transportation, and upon arrival at the hospital. 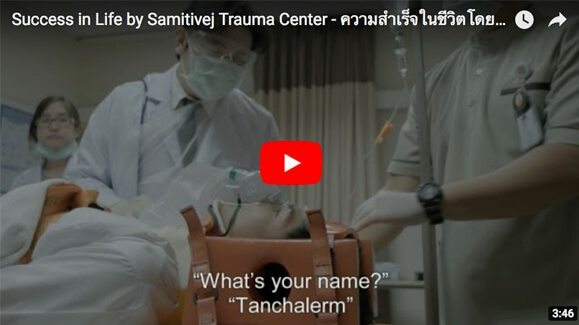 At Samitivej Srinakarin Trauma Center, our services range from emergency care, inpatient service, rehabilitation, and crucially, our outstanding medical repatriation service. Our trauma center is among other well-known leading centers in the country capable of providing treatment and care in complex cases. We provide 24-hour general surgeon cover and our trauma center also has access to a wider team of very experienced specialists covering orthopedics, neurosurgery and cardiovascular thoracic surgery. Moreover, our team also includes emergency doctors, anesthesiologists, radiologists, critical care specialists, and physiotherapists. Our staff receive ongoing education and training on accident prevention, traumatic injury management, and on ensuring that effective and high-quality care is provided to all patients. A team of healthcare providers closely monitor and complete comprehensive quality assessment programs to continuously improve service quality. 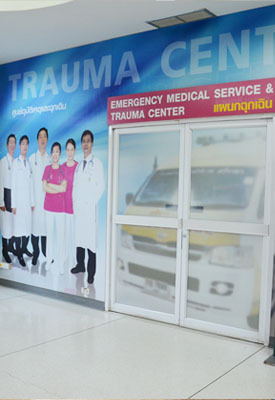 There are forty-five hospitals in the Bangkok Dusit Medical Services hospital group, and our trauma center is one of 10 Centers of Excellence for Trauma in BDMS. The center is affiliated with Hannover Medical School in Germany and serves as a referral point for many other hospitals both domestically and overseas. These connections allow us to provide injured patients of all age groups with the emergency care they need including surgery, hospitalization, rehabilitation and air ambulance services. 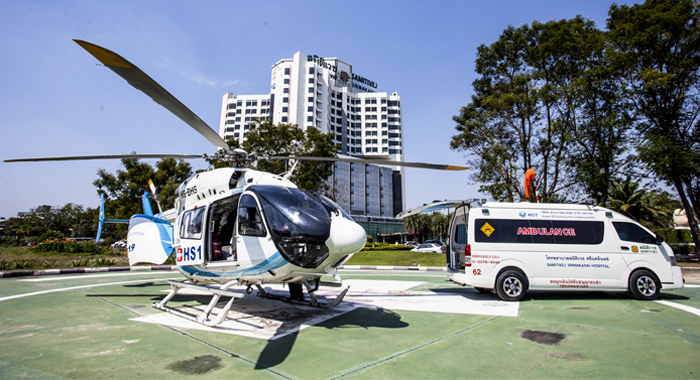 Professional medical transportation services, including evacuation and repatriation through various modes of transportation, such as ground and air ambulances, medical escorts, and bedside-to-bedside transportation services for adults and children. Our medical team carefully monitors the patient from prior to departing their current location until they are safely in the hands of the receiving healthcare provider. Our trauma team has established protocol, specifically for the provision of prompt, high quality care to the critically injured trauma patient, known as ‘Code Trauma,’ that alerts all staff and related departments to prepare and immediately become available to care for a patient. These include the availability of CT scanners for immediate use with in-house radiologists for critical reading, preparation of the operating room within 30 minutes for emergency surgery with a fully qualified team of healthcare providers, and an inpatient department available to receive people immediately. Surgeons whose expertise includes: general surgery, orthopedics, neurology, vascular surgery, cardiology, plastic surgery, facial bone surgery, urology, liver gastroenterology, colorectal surgery and much more. Samitivej’s trauma center is among the most well-known leading trauma centers in the country, capable of providing the highest level of treatment and care for complicated traumatic cases. Not only do we have 24-hour coverage by general surgeons, our trauma center is also covered by surgeons of various specialties including, but not limited to: orthopedic surgery, neurosurgery and cardiovascular and thoracic surgery. Moreover, our trauma center staff also include emergency physicians, anesthesiologists, radiologists, critical care specialists, and physiotherapists. Our staff are provided with effective and continual education in trauma management as well as prevention. A comprehensive quality assessment program monitors and continuously improves the quality of our services. There are 44 hospitals in the Bangkok Dusit Medical Services (BDMS) hospital group, and our trauma center is one of the 10 Centers of Excellence for Trauma in the BDMS network. The center is affiliated with Hannover Medical School in Germany and serves as a referral center for many other hospitals of domestic and international level. These connections allow us to provide injured patients of all age groups with the emergency care, surgery, hospitalization and rehabilitation service they need. Professional medical transportation services including evacuation and repatriation through various modes of transportation, such as ground and air ambulances, medical escorts and bedside-to-bedside transportation services for adults and children. Close monitoring of the patient prior to departing their current location until the patient is safely in the hands of the receiving healthcare providers at the final destination. Code Trauma – An established protocol specifically for the provision of the highest quality care in a timely manner for critically injured traumatic patients. This includes immediate CT scans, preparation of operating rooms for emergency surgery within 30 minutes and our inpatient department available to receive patients at a moment’s notice. Rehabilitation physicians to facilitate the recovery process to ensure optimal outcome and the highest quality of life. Samitivej has a team of emergency rescue in Eastern Thailand. Our team can attend to immediate emergency illness care & services in Thailand. We have a standby emergency service in the capital of Thailand since we operate around the clock. If you are looking for emergency medical rescue in Bangkok, ring us. We have emergency ambulance in Thailand ready 24 hours – dial to us, eastern hospital tourism for emergency rescue any time around the clock. 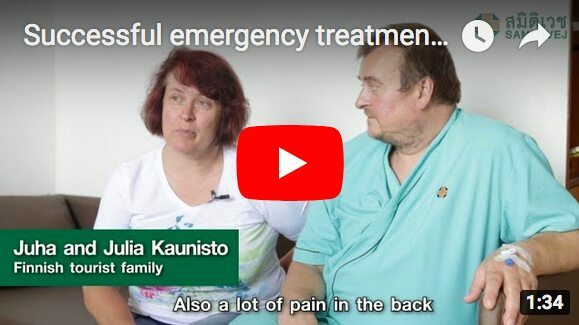 Samitivej Sriracha emergency department provides 24 hours of high quality medical services with professional health care staff formed by highly experienced and qualified emergency medical specialists. 24 hour with highly qualified certificated physicians who experience on critical cares. Well-trained nurses and paramedic teams, equipped with 100% advanced cardiac life support certified nurses. Advanced technology medical equipment for resuscitation. Fully closed monitoring equipments and minor surgery equipments. Fully-quipped ambulance equivalent to ICU.